A premium class of comfort and a homely vibe. Hotel Royal Woods is an elegant hotel with a refreshing and regal vibe. 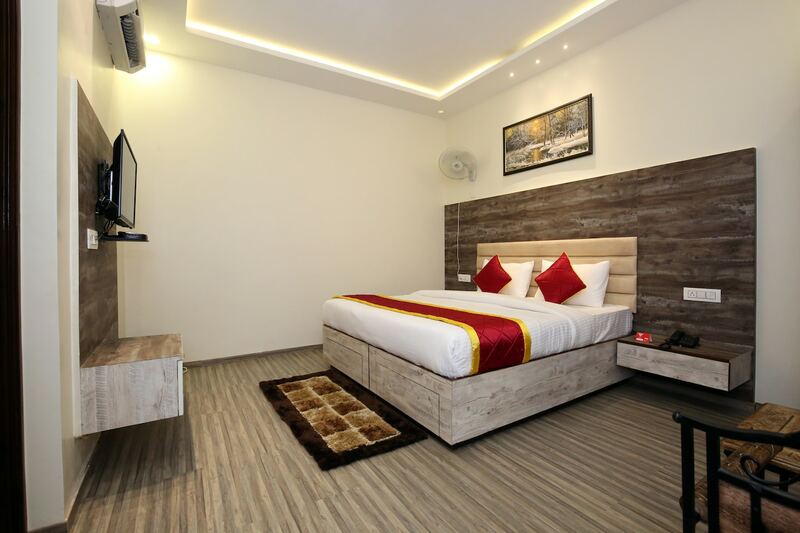 The rooms are planned and decorated with rich royal wood shades and linens of bright combination with modern furnishing that shine brightly with the well-decorated ceiling lights. The artwork in the room is impressive and the cushioned headboard adds to the comfort of the guests. Various facilities include free wifi, card payment, and parking facility. The seating area is huge and opens to the local energy and elegant set-up. The well-known restaurants around offer sumptuous delicacies of the area.